Address: Opening Aug 10th at Unit 101 1030 Oyster Bay Drive Ladysmith, BC. Xtend Rentals, tool sales, and safety gear. We are currently available in our mobile rental and sales showroom until we move into our new location on the corner of Highway 1 and Ludlow in Beautiful Ladysmith!! Call us anytime at 250-618-9192 to find out more. 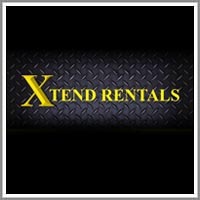 Join our Facebook page at Xtend Rentals Vancouver Island to get regular updates. We have a large selection of contractor grade construction tools for rent as well as multiple sizes of new excavators, skid steer loaders, attachments, ditch witch equipment, Bomag compaction equipment, small farm and hobby tractors with mowers and rototillers, pressure washers, Hilti tools and much more. We are adding to our fleet constantly so check back often to keep up to date. Once we open at our facility here in Ladysmith we will also be dealers for some of the best construction gear and tools in the industry with names like HILTI concrete tools, Irwin hand tools, Estwing striking tools, 3M safety gear, MK Diamond masonary cutting equipment, Atlas Copco compressors, rock hammers, compaction equipment, and mobile light towers, Tsurumi Pumps and generators, Crown concrete mixers, and power buggies, CEP electrical tools, cords, and lighting, Oztech concrete vibrators, Multivibe concrete screeding equipment, MetalTech scaffolding and fencing, Drieaz dehumidifiers and fans, and much much more. Many more plans to come for early 2018 too!! We look forward to meeting each and every one of you very soon! !